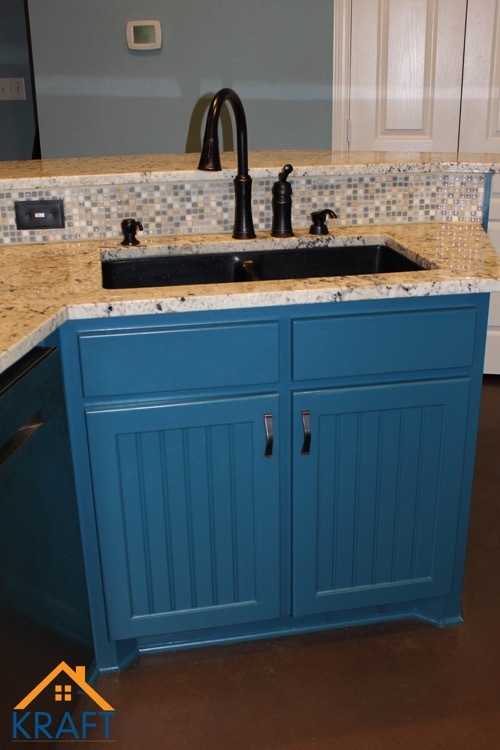 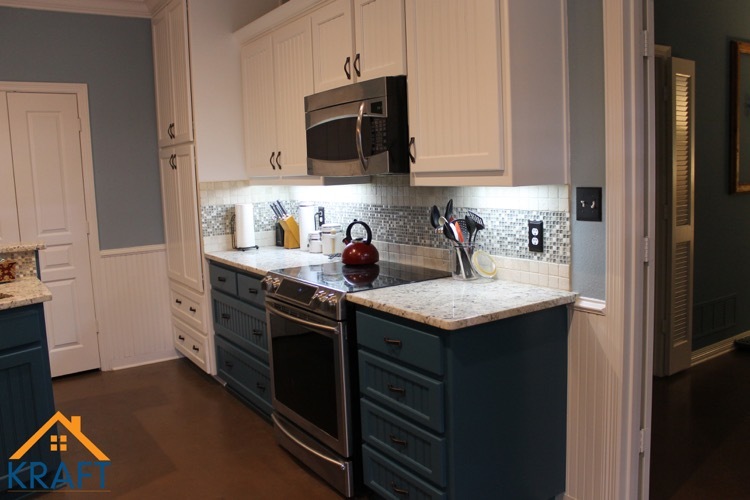 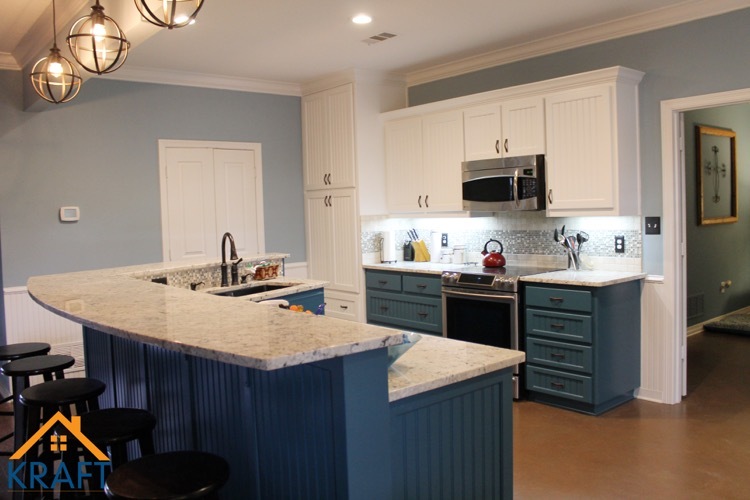 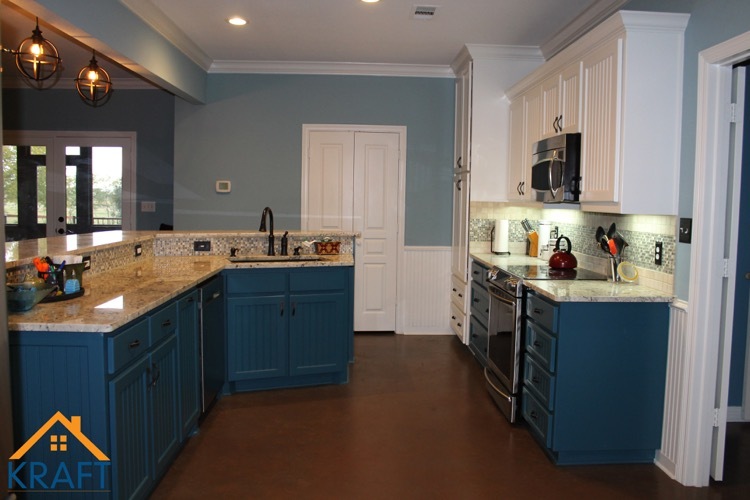 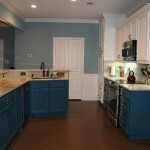 The new owners had recently purchased this home in Aubrey, Texas and contacted Kraft Building and Remodeling to remodel the kitchen and bathroom and add a mudroom and an outdoor living area. 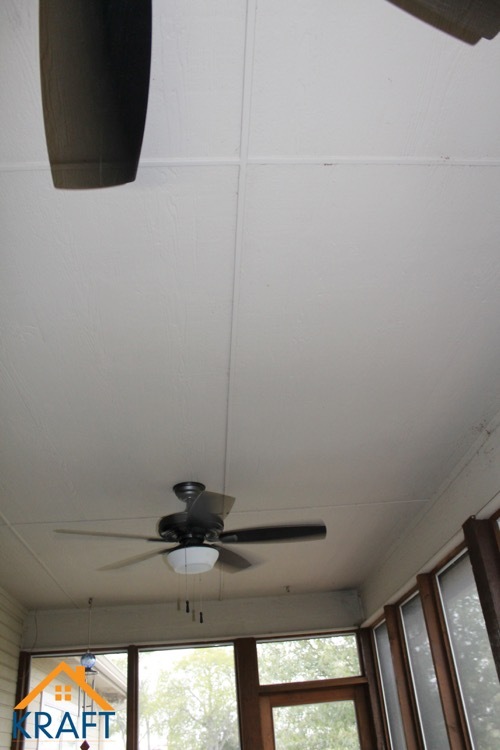 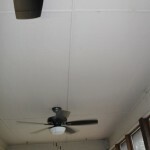 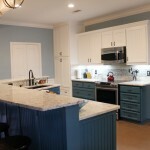 This project included tearing down a wall that separated the kitchen from the living area. 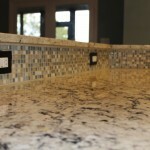 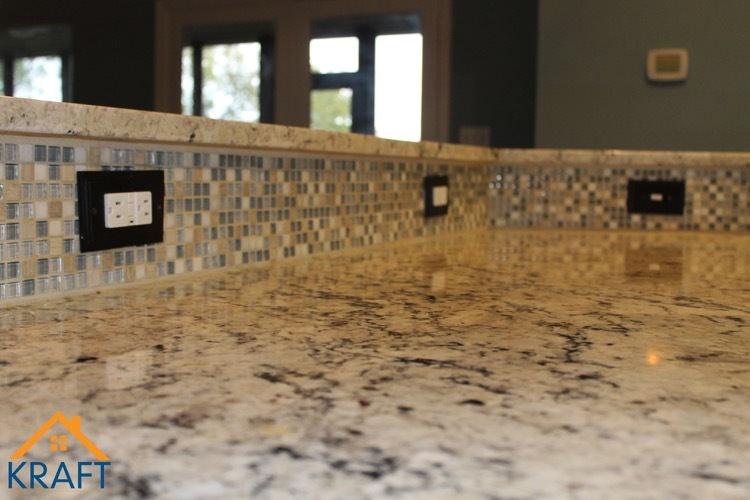 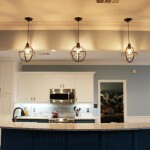 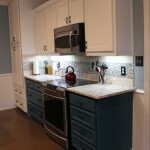 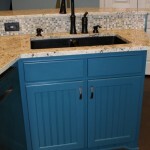 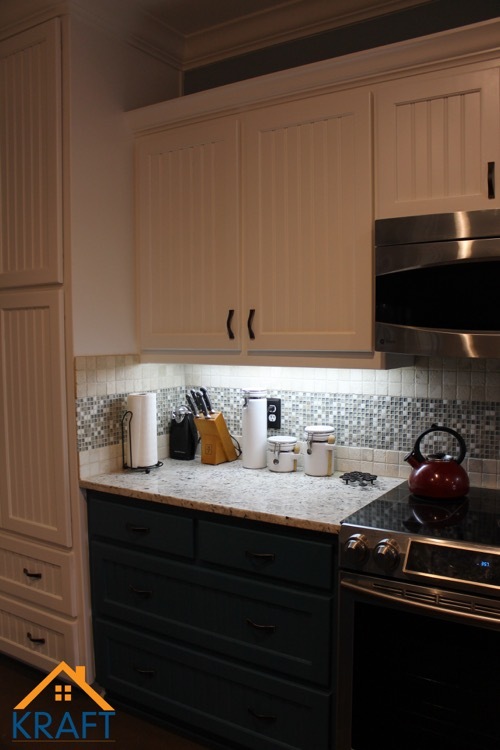 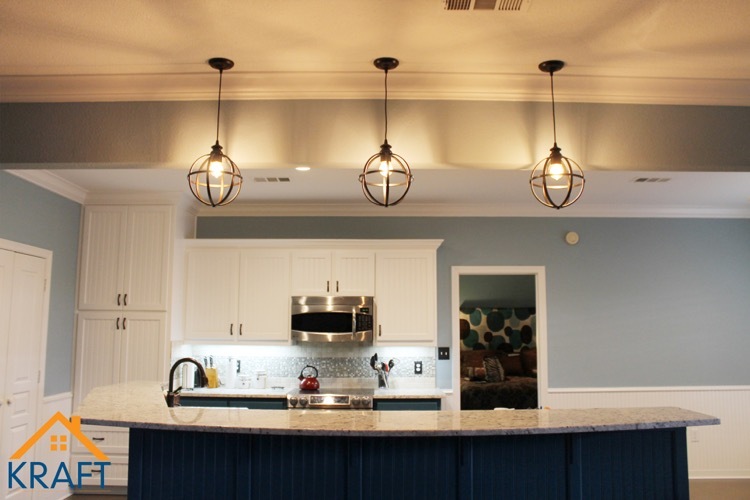 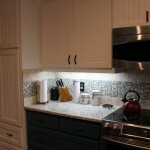 A large eye-brow shaped island was added to the kitchen with pendant lighting being installed above. 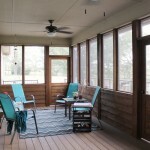 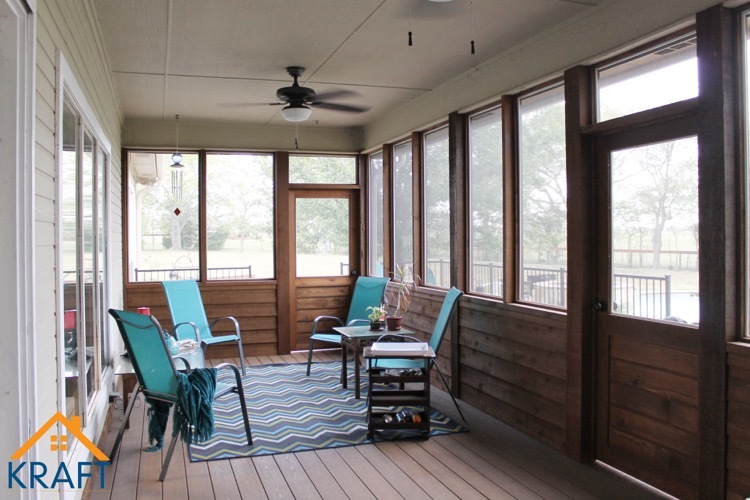 In the backyard, a big screened-in and covered deck was constructed out of cedar with a paneled ceiling, complete with ceiling fans. 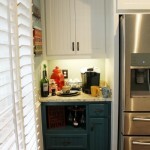 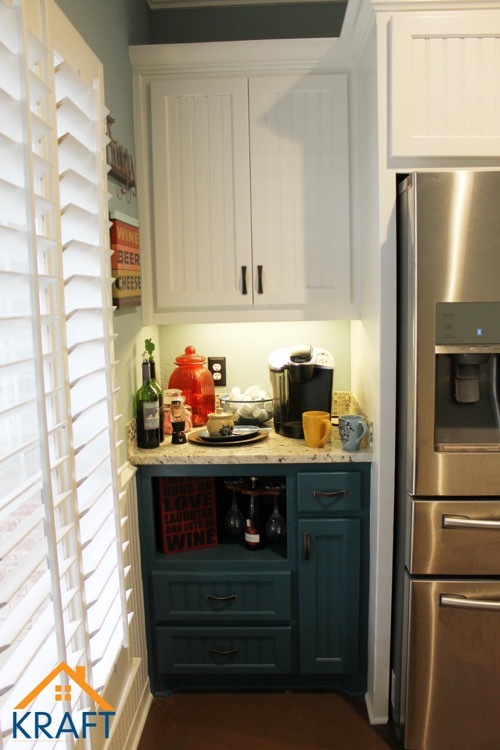 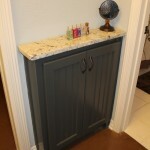 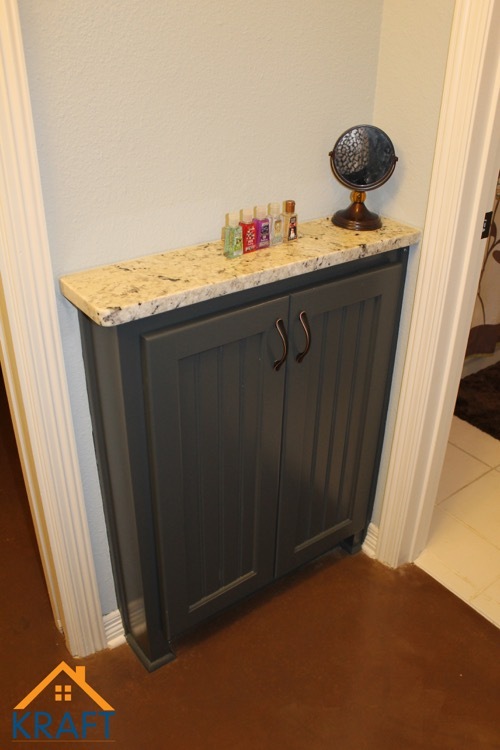 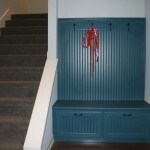 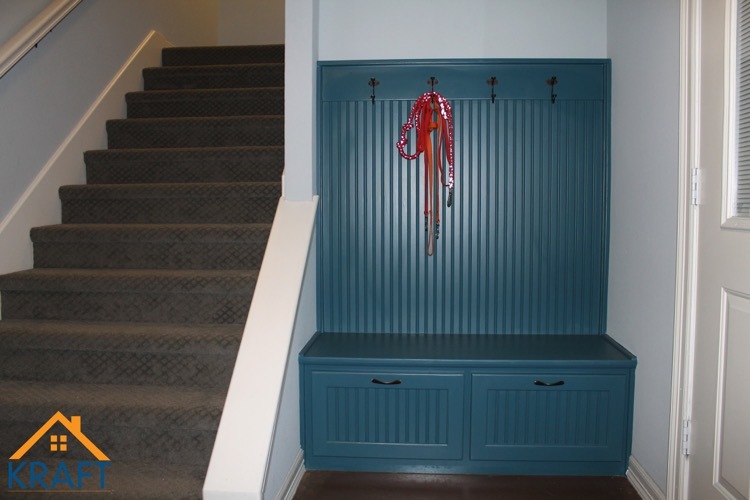 A mudroom was built by the garage entrance and painted to match kitchen cabinetry. 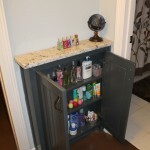 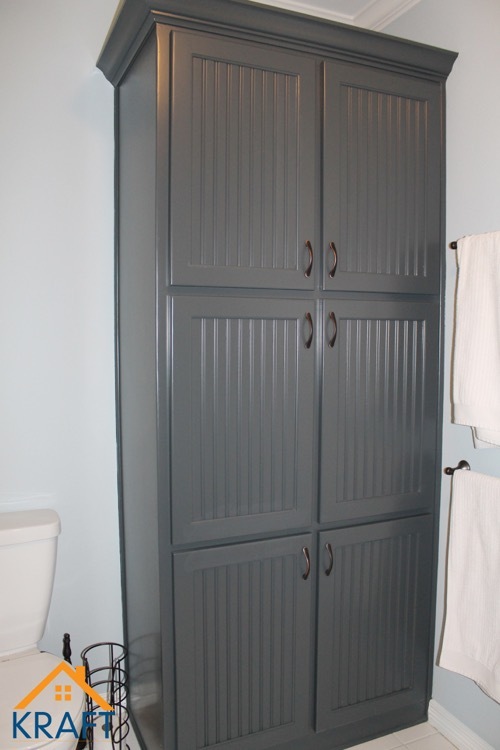 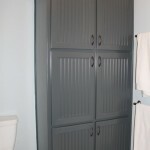 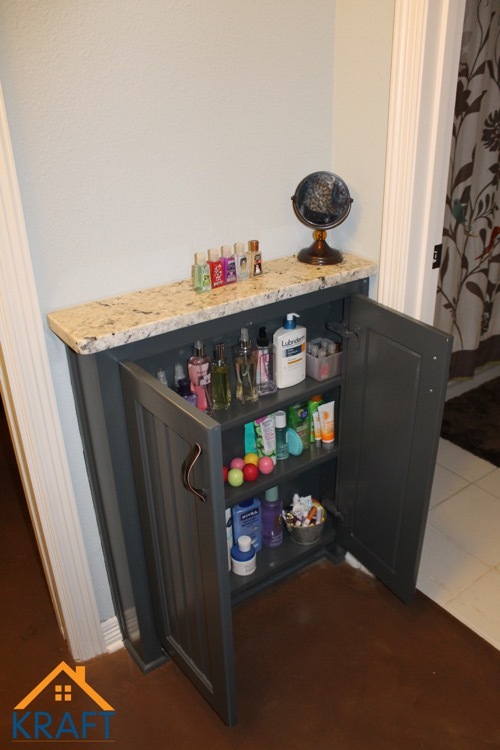 Storage cabinets were added to the kids’ bathroom, providing more space for toiletries and accessories.